!! !$50 late fee imposed if you register on/after July 15 - don't delay!!! Season runs September 4 – October 27. 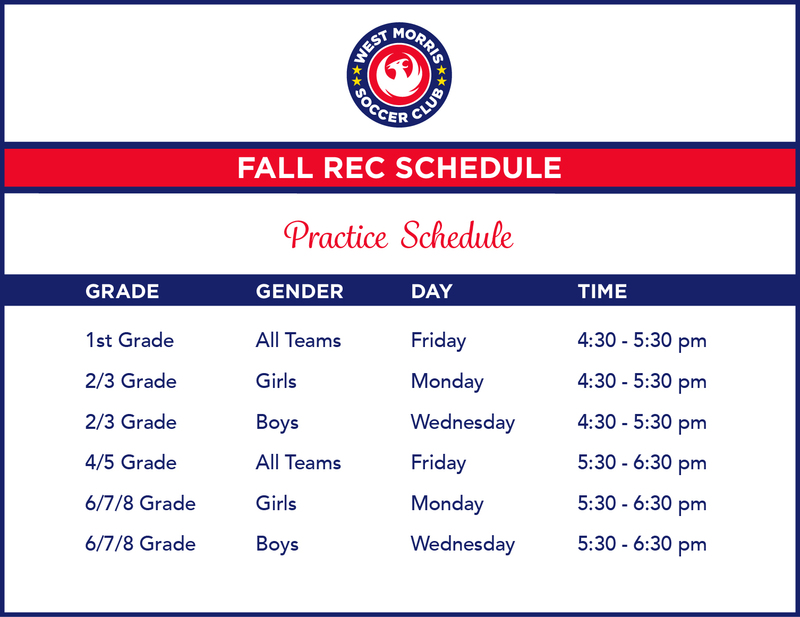 All sessions at Black River fields, Chester. UNIFORMS - Each player can reuse last year's uniform or order their own new one. Please check the appropriate box on the registration page to indicate whether or not you need ot order a uniform. Cost of uniform is not included in registration fees. Uniforms may be handed down or worn in subsequent years. Order sizes accordingly. 1st grade thru 8th grade - Early Bird discount: $190 (does not include uniform costs) – MUST register by July 15. 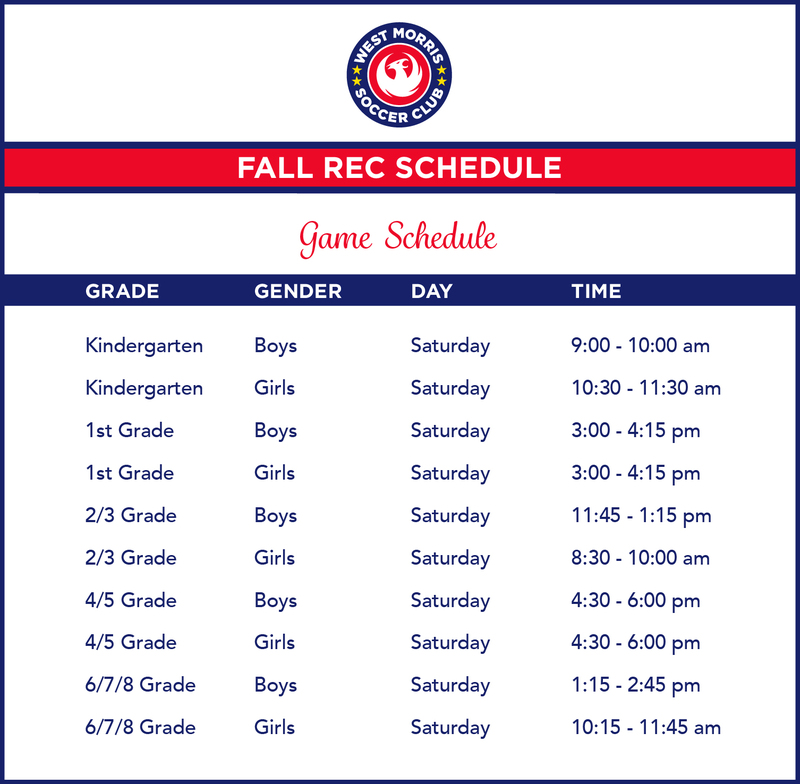 Information about your child's team will be sent late August. With over 700 players participating, our volunteer coordinators do their best to assign players to teams. We rely on early registrations to do so. Help our volunteers by registering early. Use last year's uniform, swap or find a gently used one on the FaceBook page 'West Morris Soccer Equipment Exchange' or order a new one. If ordering new, link to order uniforms from soccer.com will be sent approximately 1 week after your registration is received. Uniforms will be delivered directly to your house. Players must bring both jerseys to all games. Cost of uniform is NOT included in WMSC registration fees. Tentative Fall Schedule (effective June 12), this is subject to change and will be finalized by end of August. 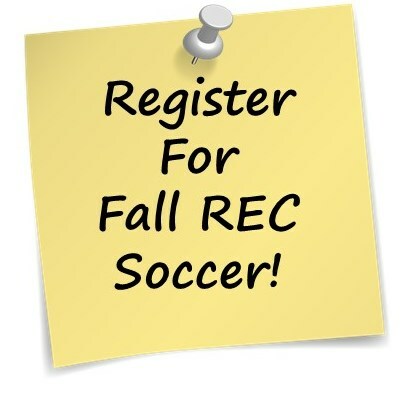 For additional information, please visit our tab 'Fall REC' under the WMSC website www.westmorrissoccer.org. For answers to questions not found herein nor on our website, contact Annalisa Martinez at .